For years, patients diagnosed with a tree nut or peanut allergy have been told to avoid all nuts. But what if I told you that being allergic to one nut doesn’t necessarily mean you’re allergic to another? What if I also told you that avoiding nuts altogether could result in a higher risk of BECOMING allergic to nuts? To make things even more confusing, it’s possible to be allergic to some tree nuts and not others (e.g., a patient could be allergic to all tree nuts except hazelnut and almond). Walnuts and pecans are almost 100% cross-reactive, so if you’re allergic to one, you’re almost certainly allergic to the other. The same is true of cashews and pistachios. But that’s pretty much where the similarities end. Often, if a patient has an allergic reaction to a peanut or a tree nut, their allergist will advise the patient to avoid all nuts. Why? The rationale is three-fold: 1) some tree nuts are cross-reactive with others; 2) nuts are often packaged and handled in a shared facility, making cross-contact more likely; and 3) it is often easier for a doctor to advise patients to avoid all nuts (including peanuts, which are technically a legume). Doctors have also generally recommended strict avoidance of all nuts after a peanut or tree nut allergy diagnosis because of the challenges in distinguishing between nuts. 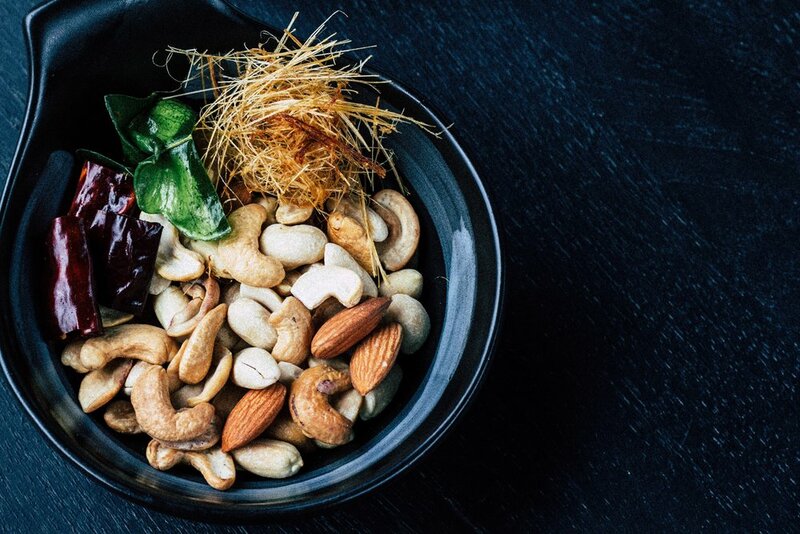 Otherwise, the patient would be expected to know the difference between all of the different types of nuts: almonds, brazil nuts, cashews, hazelnuts, macadamia nuts, pecans, pine nuts, pistachios, and walnuts—both shelled and unshelled. Studies have also shown that allergy patients are only slightly worse at identifying tree nuts than their allergists. Patients would also have to trust that kitchen and waitstaff at restaurants could distinguish between the nuts (spoiler alert: many can’t). Additionally, it’s hard to find bags of tree nuts that don’t list warnings of possible cross-contact with other tree nuts or peanuts due to manufacturing practices. In order to determine which nuts a patient is allergic to and which ones are safe, one or more oral food challenges may be necessary. Because of this, recommending that a patient avoid all nuts has historically been deemed the more practical—and safer—approach to food allergy management. Then came the LEAP (Learning Early About Peanut) study. The LEAP study suggested that kids who were at risk for developing a peanut allergy were significantly less likely to become allergic if they ate peanuts early and often. The study also showed that if a patient was unnecessarily avoiding peanuts they were more likely to become allergic to peanuts over time. This suggested that unnecessarily eliminating certain allergenic foods could increase a child’s risk of becoming allergic. This study led to a seismic shift in the food allergy community’s understanding of food allergies and allergy management practices. Suddenly, blanket avoidance of all tree nuts and peanuts came with the potential risk of increasing an at-risk child’s chances of developing a food allergy. For this reason, it is important that allergists talk with their patients and/or the patient’s families after a peanut or tree nut diagnosis about the different approaches to managing food allergies and decide together what is in their best interest. The first option is the oldest approach: strict avoidance of all peanuts and tree nuts. Many patients and families feel safe with this approach. Total avoidance may lessen the fear of a reaction due to cross-contact. Accordingly, for many patients and/or families, avoidance is the right choice. Another option is to have the patient continue to avoid the foods they are allergic to (in this example certain tree nuts) and teach families how to safely eat the foods they are not allergic to. This process may involve a food challenge. Deciding to eat certain nuts when allergic to others does involve learning how to read labels to check for potential cross-contact, learning what the different nuts look like shelled and unshelled, and understanding that eating those nuts is something that should be done at home and not in restaurants. We still have a lot to learn about food allergies, but hopefully in time we’ll get better at managing, diagnosing, and treating them. In the meantime, for newly diagnosed food allergy patients, candid conversations are a good start. Brian Schroer, MD is on staff at Cleveland Clinic Children’s Hospital where he sees patients of all ages with allergic and food-related diseases.